NEW DELHI, India (BulgarianMilitary.com) – The Indian navy has performed a successful intercept of an aerial target using the Israeli made Ship launched Long Range Surface-to-Air Missile (LRSAM), learned BulgarianMilitary.com. The Barak – 8 was launched on Jan. 24, from INS Chennai against an incoming aerial target flying at low altitude. The missile destroyed the target with a direct hit. All the mission objectives have been met. 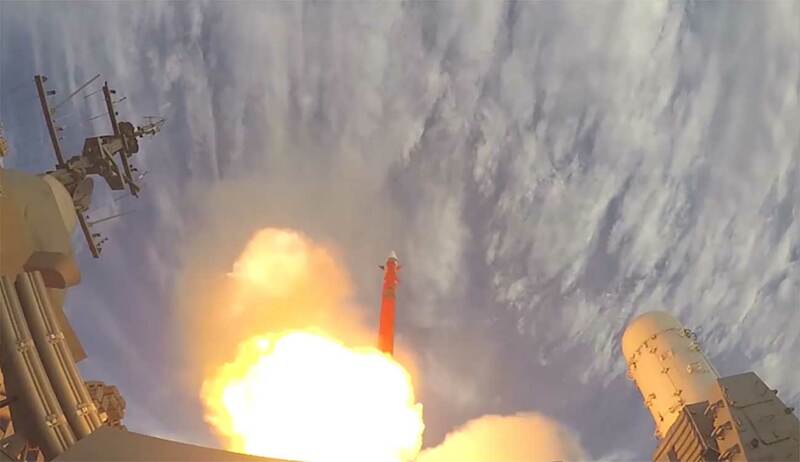 According to Boaz Levi general manager of IAI’s missiles and space division the test proved the Barak-8 capabilities to defend a large area, this by cooperation between a number of ships. Barak 8 can operate day and night, in all weather conditions, and successfully deals with simultaneous threats engagements, even in severe saturation scenarios. The system has a very short reaction time and a fast missile vertical launch capability with 360 degree coverage. The system optimizes the coordination between the missile and batteries by using an advanced broadband communication network. The missile deals with short, medium, and long range threats, where its interconnectivity among the various ships in the naval task force enables it to be a multi-layer air and missile defense System of Systems.